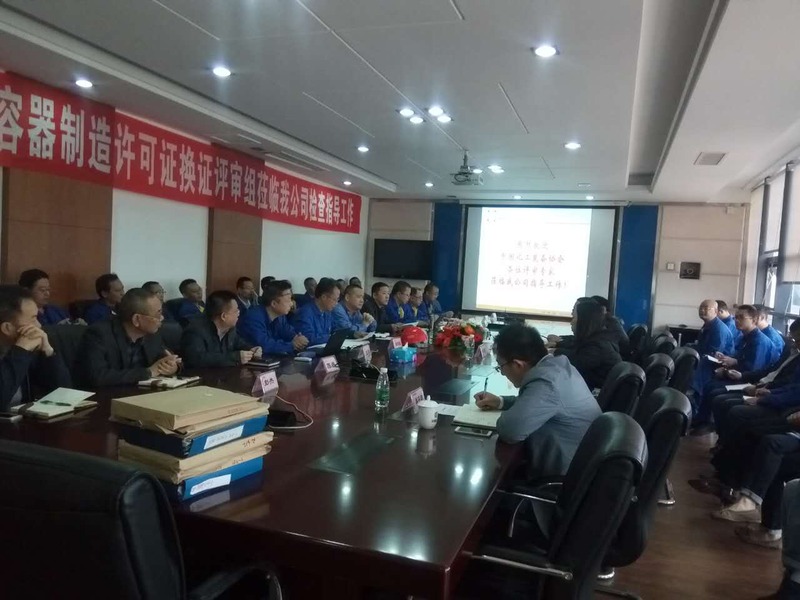 According to SCBC’s application, three experts from China Chemical Equipment Association reached SCBC in the later half of October for site assessment on the validity extension of SCBC’s license for production of pressure vessels. In line with “Authorization Conditions for Production of Boiler and Pressure Vessel”, TSG Z0005-2007 “Articles for Assessment and Review on Qualification of Fabrication, Installation, Renovation and Maintenance of Special Equipment”, TSG Z0004-2007”Basic Requirements on Quality Control System of Fabrication, Installation, Renovation and Maintenance of Special Equipment” and other relevant codes and standards, the experts headed 3 working teams of systems, resources and products to carry out a comprehensive assessment on SCBC’s capabilities in the aspects of resources conditions, formulation, perfection and execution of quality control system and product safety documents etc. as per the basic 18 factors of management responsibilities, quality control system documents, documents records control, contract control, design control, material and parts control, workmanship control etc.. During the process of assessment, the relevant persons and responsible engineers offered full cooperation by providing documents for checking, recording inquiries, and making clarifications. Through the expert team’s conscientious and highly-efficient assessment, the expert team made the conclusion that SCBC passed the site assessment successfully.